Since its debut in 1967, Gaja’s Sorì San Lorenzo has established itself as one of the truly iconic wines in Piedmont and Italy. This recent vertical tasting provided a great opportunity to check in on a number of vintages, including most of the reference points. Sorì San Lorenzo is the most powerful, structured and masculine of Gaja’s three single vineyard wines from Barbaresco. Costa Russi is always about suppleness, while Sorì Tildìn speaks to finesse above all else. Sorì San Lorenzo is a totally different animal. Here the wines are intense, brooding and exceptionally long-lived, with a level of intensity that could easily be mistaken for Barolo. Angelo Gaja’s father, Giovanni, bought the vineyard in 1964 from the Alba church and christened it Sorì San Lorenzo, after city’s patron saint. 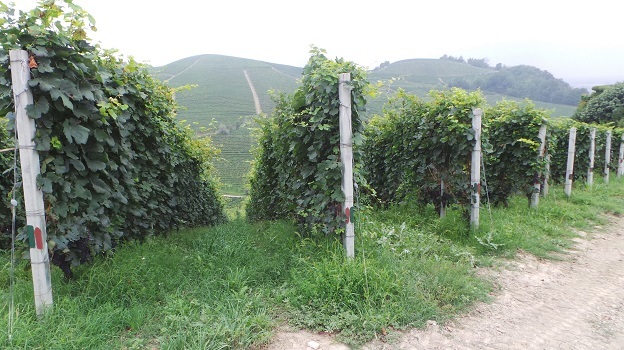 Even then, Sorì San Lorenzo was known as source of top-quality grapes. 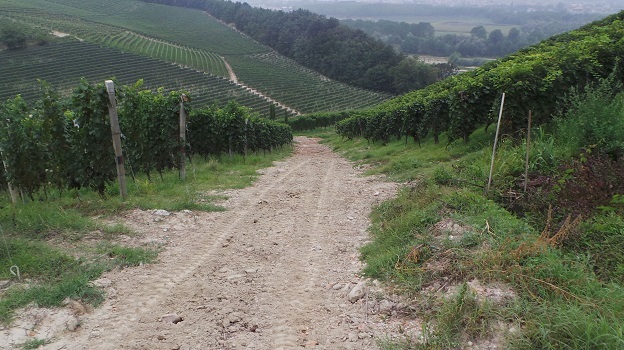 As was the custom at the time, the vineyard was planted to both grapes and other crops, including fruit trees. Gino Cavallo, Gaja’s vineyard foreman, refused to cut down two old cypresses and plant the other half of the vineyard. The tree was known as a favorite spot of a local truffle hunter who was famous for the attention he lavished on his loyal dog. A few years later a rival truffle hunter who had a reputation for abusing his animals poisoned the dog. That was the last straw for Cavallo. In an act of retribution, down went the cypresses, and the rest of the vineyard was developed. 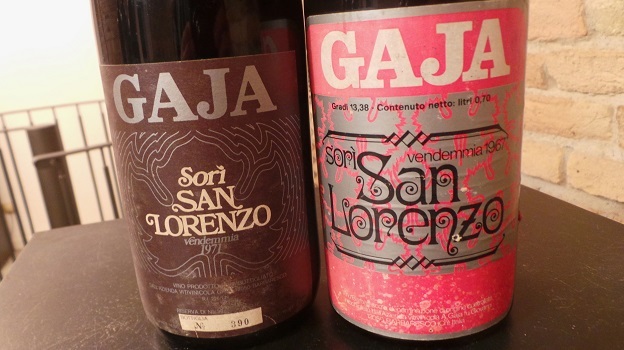 In 1982 Gaja planted Barbera, which was later blended with Nebbiolo to create the modern-day Sorì San Lorenzo. The first vintages of Sorì San Lorenzo were aged entirely in cask. 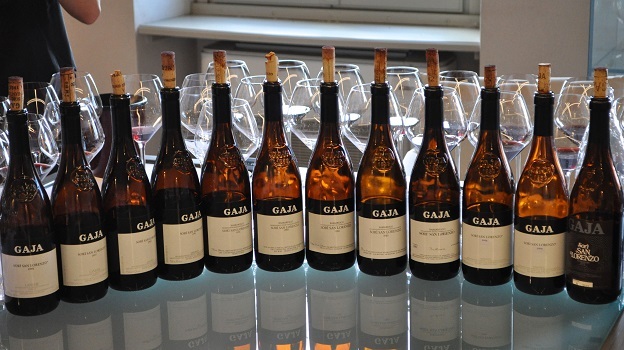 Gaja introduced French oak barriques in 1968, but used those barrels mostly on Barbera and other experimental wines until 1978, when all the Barbarescos were partially aged in French oak. At the time, Gaja purchased used barrels from wineries in Bordeaux, but a visit by André Noblet, Domaine de la Romanée-Conti’s cellar master, in 1979 convinced Gaja to make serious upgrades to the quality of his barriques. Between 1978 and 1988, Gaja gradually increased the percentage of French oak in his Barbarescos from around 20% to 50%, where it remains today. Angelo and Lucia Gaja’s children, Gaia, Rossana and Giovanni, are now increasingly involved in the family business. The most recent Gaja wines clearly show a move towards a more refined, finessed style that stands in stark contrast to the wines the young Angelo Gaja made in the 1970s and 1980s. 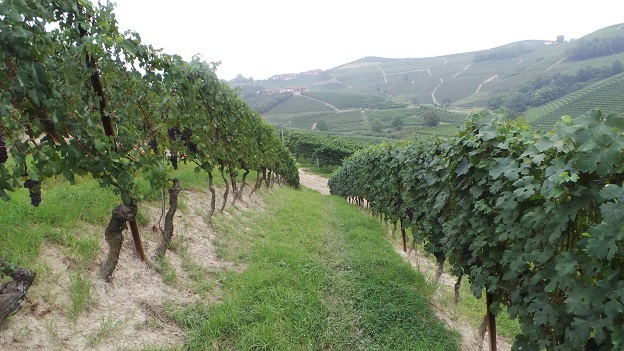 Generational succession is the single greatest challenge facing Piedmont’s wineries today. If Angelo and Lucia Gaja can hand off their estate to their children and give them the freedom to make decisions, they will succeed where so many others before them have failed. The 1971 Sorì San Lorenzo is now fully mature, although it has enough depth to drink well for another 5-10 years, perhaps longer. Sweet tobacco, mint, pine, licorice and dried cherries meld together in a pretty, perfumed Barbaresco that has reached its peak. The 1971 is one of the greatest of all Sorì San Lorenzos, but judging from this bottle, there is no further upside to be gained through further cellaring. Interestingly, the 1971, like the 1967, is labeled only Sorì San Lorenzo, there is no mention of the Barbaresco appellation. 94/Drinking window: 2014. One of the stars in this tasting, the 1974 Barbaresco Sorì San Lorenzo is quite a bit fresher and also more powerful than the 1971. A huge core of fruit hits the palate, followed by savory herbs, leather, tobacco and smoke. The 1974 remains powerful and virile, with fabulous intensity for a wine of its age and a compelling interplay of tertiary nuance, dense fruit and plenty of structure to back it all up. Readers lucky enough to still own the 1974 can look forward to another 5-10 years of very fine drinking. 95/Drinking window: 2014-2020. Gaja's 1978 Barbaresco Sorì San Lorenzo is another epic wine. Veins of underlying structure and acidity give the 1978 much of its power, shape and pure volume. A huge, structured Barbaresco, the 1978 has a similar feel to the 1974, but with more energy and power. With time in the glass, the 1978 continues to open up and gain freshness. Even today, at 36 years of age, it is in great shape. 96/Drinking window: 2014-2024. The 1982 Barbaresco Sorì San Lorenzo is laced with sweet red cherries, freshly cut flowers, mint, spices and pine. This is an especially polished, refined San Lorenzo that emphasizes finesse over the power that is more typical of this site, although there is no shortage of tannin. With air, the 1982 keeps getting better and better. The long, bright finish is particularly of note. 97/Drinking window: 2014-2024. A wine of pure joy, the 1985 Barbaresco Sorì San Lorenzo wraps around the palate with gorgeous fleshiness. Racy, ripe and textured, the Sorì San Lorenzo is a classic wine from this warm, precocious vintage. The 1985 won't last forever, but it is absolutely gorgeous and peaking today. This is a fabulous showing from Gaja. 96/Drinking window: 2014-2020. The 1988 Barbaresco Sorì San Lorenzo is in great shape. Black cherries, plums, smoke, tar and menthol burst from the glass in an explosive, structured Barbaresco built on depth, power and firm, insistent tannins. A dark, brooding wine, 1988 Sorì San Lorenzo is the first in a trio of epic Barbarescos from Angelo Gaja that round out the decade in style. 97/Drinking window: 2014-2024. Sweet dark cherries, plums, spices, mint and tobacco all lift from the glass in the 1989 Barbaresco Sorì San Lorenzo. Incredibly perfumed and layered in the glass, the 1989 captures the essence of this great Piedmont vintage in its soaring aromatics, inner sweetness and extraordinary balance. Tasting the 1989 today brings back memories of an unforgettable night a few years ago when I tasted all of the 1989s and 1990s together here. Simply put, the 1989 Sorì San Lorenzo is a total stunner. 97/Drinking window: 2014-2029. The 1990 Barbaresco Sorì San Lorenzo is a fabulous wine to drink now and over the next 10-15 years. The tannins remain a bit firm, but the aromas are already starting to show the first signs of maturity. Today, the 1990 comes across as a slightly younger version of the 1985. With time in the glass the 1990 freshens up a bit, but the tannins remain intense. 96/Drinking window: 2014-2024. The 1993 Barbaresco Sorì San Lorenzo is one of the surprises of this uneven vintage. Freshly cut flowers, mint, red berries and mint are all laced together in a striking, perfumed Barbaresco built on aromatic lift and finesse. This is one of the more mid-weight, feminine Sorì San Lorenzos that Gaja has made, yet the wine's balance is magnificent. The 1993 will drink well for at least another decade. 94/Drinking window: 2014-2024. Gaja's 1995 Barbaresco Sorì San Lorenzo is potent and virile to the core. A modern-day version of the 1974, the 1995 hits the palate a rush of fruit enveloped by firm, powerful tannins. The style is frank, direct and intense, with fabulous richness but also some elements of rusticity. The 1995 will drink well for another 10-15 years. 95/Drinking window: 2014-2024. Sweet tobacco, mocha, plums, smoke and licorice are some of the many notes that meld together in the 1997 Sorì San Lorenzo. The 1997 retains gorgeous radiance, sweetness and volume, even if the aromatics are now beginning to show slightly more forward notes. The 1997 is a gorgeous wine to drink now and over the next decade, but, quite uncharacteristically, it looks to be a relatively early maturing wine for this site. 96/Drinking window: 2014-2024. The 1998 Sorì San Lorenzo is one of the most pleasant surprises in this tasting. Fresher than the 1997 - even if not as voluptuous - the 1998 captures the best qualities of the year. Smoke, tobacco, menthol, plums and black cherries are all laced together in a silky, perfumed wine that is stunning today. This is a terrific showing from the 1998. 96/Drinking window: 2018-2028. The 1999 Sorì San Lorenzo is a modern-day classic. Freshly cut flowers, mint, chalk, bright red cherries and anise jump from the glass in a pure, crystalline wine endowed with magnificent tension and precision. Pulsating in the glass, the 1999 is all about energy and weightless precision. In that sense, the 1999 is a younger version of the 1982. 98/Drinking window: 2014-2029. The 2001 Sorì San Lorenzo is all about finesse and texture. Ripe, silky tannins provide the backdrop as the 2001 opens up in the glass. The 2001 is still fresh, primary and very young. Ideally, it needs another 5 years or so in the cellar. There is little doubt the 2001 is shaping up to be one of the most elegant Sorì San Lorenzos ever made. Today, it is dazzling. 97/Drinking window: 2016-2031. In 2004, Gaja's Sorì San Lorenzo is unusually polished and feminine, with fewer of the dark, brooding overtones that are so typical of this site. Super-expressive aromatics meld seamlessly into silky, beautifully layered fruit. Hints of exotic spice, hard candy, smoke and French oak add nuance on the striking finish. At the early part of its drinking window, the 2004 will have no trouble aging gracefully for another decade or two. There is little doubt the 2004 is one of the truly great Sorì San Lorenzos. 98/Drinking window: 2014-2029. A wine of total finesse, the 2005 Sorì San Lorenzo impresses for its nuance and balance. Freshly cut flowers, mint, cinnamon and crushed rocks are all laced together in a wine of exquisite harmony. The 2005 is one of the more restrained, elegant vintages in this vertical tasting. The perfumed finish speaks above all else to a sense of delicacy that is impossible to miss. 96/Drinking window: 2015-2030. The 2008 Sorì San Lorenzo is an especially dark, imposing wine. Here the flavors are inward and brooding, with massive intensity and a sense of structure that was not apparent the last time I tasted it. 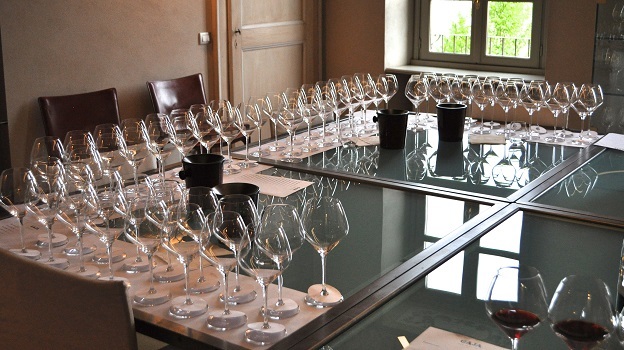 Today, the oak is a bit obvious, but that may be attributable to the context of this tasting in which so many of the wines are quite a bit older. 96/Drinking window: 2018-2033. Silky and gracious on the palate, the 2009 Sorì San Lorenzo looks to be a wine that will drink well with just a few years of cellaring. This is a decidedly floral, lifted yet radiant wine with terrific balance and plenty of the sexiness that defines the very best wines of the year. 95/Drinking window: 2019-2039. The 2010 Sorì San Lorenzo jumps from the glass with lavender, violets, plums, smoke and licorice, all in a lifted, precise style built on finesse. The tannins are remarkably sweet and polished for such a young wine. The pulsating fruit and sense of structure are reminiscent of the 1999, but here, there is perhaps a little more finesse and slightly more compelling balance. 97/Drinking window: 2018-2040. The 2011 Sorì San Lorenzo boasts massive depth, intensity and power. Black fruit, smoke, tar, licorice, savory herbs and leather are some of the many notes that emerge from the glass. Regardless of the year, the personality of Sorì San Lorenzo always comes through, which is why this is one of the great sites in Barbaresco, Piedmont and Italy. In 2011 the contours are a bit softer, which gives the wine a level of accessibility that is quite rare in Sorì San Lorenzos when the wines are young. Why is Sorì San Lorenzo one of the world's most profound vineyards? Because its personality simply can't be denied. 97+/Drinking window: 2021-2041.